This is Queer Voices on KPFT and this segment is called Queer Music Heritage. I'm JD Doyle and welcome to my sixth anniversary show. I want to start out this show by featuring several lesbian and gay acts from a number of years ago, who are no longer on the music scene, but should definitely not be forgotten. And I'm going to finish up with a special interview with a fairly new artist named Levi Kreis, who I think we're going to hear a lot more from. The opening song was called "We Won't Be Silent" and is the title track from the debut album by a group called Yer Girlfriend. They were a lesbian band from Kentucky, and I love the story of how the group was able to release its first album. They had been playing locally in Louisville for a couple years and had attracted quite a following. So in the summer of 1989 they took an approach that is so true to the spirit of the women's music movement. They staged their own music festival, as a benefit to raise money to record their album. As I said, that album was called "We Won't Be Silent" and it really set the tone for all three of their albums, and that spirit is one of the reasons I like the group so much. It was important to them to sing songs that reflected both the personal and the political aspects of being out as lesbians. You'll see the variety of their music, and also how political their music can get in this medley I put together of some of their songs. That special Yer Girlfriend medley featured 8 songs from all three of their albums. From "We Won't Be Silent," from 1989, was "The Ballad of Kevin," and "She's Not Somebody's Wife." In 1992 they released "L-Word Spoken Here," and from it you heard "Take Another Step," "Dyketime," and "L-Word." The very catchy "Lez-B-Bop" can only be found on a various artists compliation from 1993. That CD featured a who's who of women's music artists, and was produced by Jamie Anderson. It was called "A Family of Friends." And, in 1995, came the third and last album by the group, called "Not Afraid to Love," and from that one I brought you "The Xtra Bedroom Blues" and "Fairness." The principal singers and writers for the group were Carol Kraemer and Laura Shine, and Laura can still be heard on the airwaves, but in a different fashion, as she's one of the main voices on Louisville radio station WFPK, where among the several shows she hosts is one called Womenwaves. Again, I was very pleased to tell you about the group, Yer Girlfriend. Next up is an artist from the southwest. Bill Folk wrote this song for the first Lesbian & Gay Rights March that was held in Phoenix, Arizona, in 1981. It's called "We Are Here"
Admittedly the song "We Are Here" sounds very dated by now, but remember that in 1981 the idea of a gay anthem was very new. That song was released on a 7" 45rpm record, remember those? It's flip side was called "Woman to Woman, Man to Man." Bill Folk was very active polically in the Phoenix gay community until he moved to San Francisco in 1983. There he became the first executive director of the Stop AIDS Project. In 1991 he released a full-length album, and while he may not have been the greatest singer, I really like the album. It is consistantly upbeat and very lyrically out all the way though. Here are my two favorites from Bill Folk's CD, starting with one called "Man Lovin', Lovin' Man," followed by the title track "Looking For Mr Right." Again, those two songs were from Bill Folk's 1991 album "Looking For Mr Right." Sadly, his 45 and the album are all we have to remember him by musically, as he died in 1999. In 1974 a musical opened Off-Broadway and ran for a year and a half, attracting a LOT of attention. Writer/composer Earl Wilson set his goal to write the most liberated, most sexually free show he could. And he did. He called it "Let My People Come." The show included simulated sexual acts, of all persuasions, and many songs, then and now, that are definitely not ready for radio. One of the cast members was cabaret singer Larry Paulette and his solo song from the musical was called "Take Me Home With You." In 1977, three years after "Let My People Come," Larry Paulette released his solo album, called "What Makes a Man a Man." It was released on the mainstream label Vanguard, and while it was not the first openly gay album released by a major label, it was obvious that even they considered it a bold act. In the press kit for the album it states, "At Vanguard, we have always been willing - if not indeed eager - to take risks. Wherever we found talent, we found the means to share that talent with others. We released the now legendary 'The Weavers at Carnegie Hall' while those performers were blacklisted. Because we believed in them. We believe in Larry Paulette, too. Paulette is one of a precious few performers to deal openly with homosexuality. But, what he is really dealing openly with is love." The title track from the album "What Makes a Man a Man" was written and made famous by French singer Charles Azvanour. It gives a gripping, melancholy look at the social alienation of the world of a drag artist. Following "What Makes a Man a Man" was a very light-hearted version of the oldie "Silhouettes." Unfortunely, I have no idea what became of Larry Paulette after the 70s. One of the sad things about our musical heritage is that so much of it is just lost, and that even applies to searching for information on the internet. If you would do searches for any of the acts you've heard so far, Yer Girlfriend, Bill Folk, or Larry Paulette, you'll find next to nothing, perhaps a few mentions on an old archived playlist or on a record catalog, but no meaningful information. I wish that were not the case, but that's one of the reasons you'll hear artists like that on my shows. Now the rest of tonight's show will be devoted to a very fun interview with rising artist Levi Kreis. I first became aware of him in 2002 when I was in Los Angeles, visiting my Audiofile co-producers Chris Wilson and Christopher David Trentham. We went to a wonderful play called "Southern Baptist Sissies," and Levi performed the play's theme song at the end. We spoke to him briefly after the show and I picked up his debut album. But I'm getting a little ahead of myself. Levi Kreis is a Tennessee boy who's been through a lot. Raised Southern Baptist he was on his way to become a Christian artist, but that nasty old homosexuality got in the way. He spent six years in an ex-gay program before finally getting out, and coming out into his own. Moving to L.A. he almost immediately found acting work, in a touring company of "Rent," and has had nice roles in a couple of movies. And he got involved in the hit play "Southern Baptist Sissies," written by Del Shores, who gave us the movie "Sordid Lives." 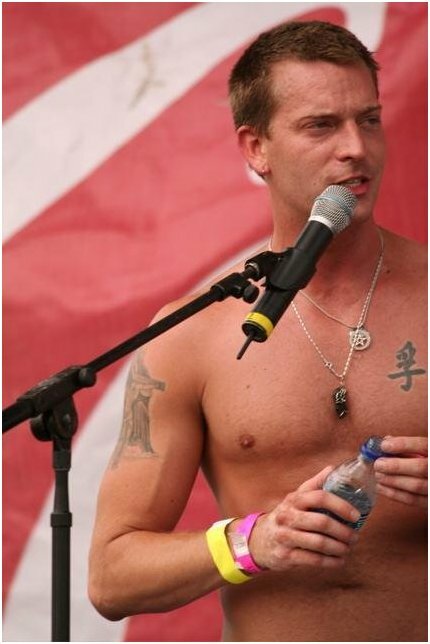 Levi issued a self-released album around that time, called "Rough Around the Edges." Focusing more on music he was signed with Atlantic Records, and spent a year, as they say, "in development," almost finishing an album. He was frankly relieved when Elektra folded and he and many others were let go. He would have had to stay deep in the closet on that label. That pretty much brings us up to late last fall, when he released a new album, and landed a plum TV appearance, which he'll tell us about. But that's enough intro, let's get to the music. His new album is called "One of the Ones," and the song we've been listening to in the background is called "With You." How would you describe your musical style to someone who hasn't heard it? I would describe my musical style as definitely influenced by the church, growing up with gospel music I think you learn initially that music is expressed from a place of deep commitment and passion, being that it is expressed from your belief. And being not in the church now I find that even still that the things that I write and the way I perform is so very much a product of the church. I always want to put something positive in there, but I also want to be very honest, and universal, and try to craft lyrics that are relatable to anyone who's listening. Overall I just want it to be something that people say, "this is raw, this is honest, and this is vulnerable, and I can totally relate"
Did you feel manufactured during that process? they took great lengths to get to know who I was. They sat me down for two hours and they just really tried to understand why I write the way that I write, what my musical influences were, and the spirit behind what I create and styles that had influenced me and I think they nailed it. And they ended up with a song that I could easily hear in my own repertoire. Is that on the CD? Unfortunately, no, because The Donald owns it. So I have had, JD, so many requests, emails, probably over 600-700 for that song, and luckily these people are also buying my CD, but it's just been unavailable, and I don't know if they have plans to release it or put it on iTunes. I think it's so silly that they didn't, they could have been making some decent money from it. Well, though it's not released, Levi was kind enough to send me the song so I could share part of it with you. Here's a little bit of the song produced on episode of The Apprentice. It's called "Nothing Can Be Everything"
When did that episode of The Apprentice air? So it's only been a month, what do you think impact has been of being on that show? It's been fascinating to see the responses. You know, I think so much of it is perception, too. I mean, being associated with something like that, a product like that has just helped out so much. You know, you got a show where you're like literally maybe there 7-10 minutes. You don't even see the full gamut of what you can do, but just the association of it, just that little 7-10 minute infomercial was all that I needed to get people's interest. I've had so many you know people who just kind of had the TV on in the background, doing their own thing, and heard the voice and immediately responded, went and found me and made the purchase, and have written me back, saying "I really relate to this CD." I love it. I've got to introduce my next question a little. If any of you have seen the wonderful movie "Sordid Lives," well, the writer and director of that movie was Del Shores. And he's also written a hit play that's had several runs in L.A. called "Southern Baptist Sissies." It was at one of those performances, a few years ago, that I first saw Levi Kreis. And in the background it's his song "Stained Glass Window" that we're listening to from the play. Tell me about your involvement with the play "Southern Baptist Sissies"
My involvement with "Southern Baptist Sissies," ah, I had just moved here to Los Angeles and I had no knowledge of the play at all. I was walking past the theatre, a couple friends of mine grabbed me pulled me into the theatre and I saw this huge poster in front of me, this guy on a cross, you know, completely naked, wearing these little bikini briefs and you know my old fundamental Baptist self was disturbed by that at the time and I'm like, "Guys, I don't know what exactly this play's going to be about." Then I went in and I began to watch the unfolding of these four guys who lived their life in the church and dealing with having a passion for God but at the same time feeling that they were an abomination to God at the same time, and by the end of the first act I was in a fetal position, just crying my eyes out. Were you out of the closet at the time? How many years has that play been performed? And when did you start singing after it? was kind of like myself telling myself, without me realizing it, that being an openly gay artist was the path that I was being called to, you know, to be that free with my life experiences. And I don't think I realized at the time, I was just being in the moment, and thank God I felt free of expressing what that play had done for me by not being afraid of associating with it, and not being afraid to write that song, and share it with the conviction that it came to me. And the song that you're talking about is "Stained Glass Window"
Would you talk about that song? Yes, I drew a lot of the words actually from Del's monologues, specifically when the characters begin to realize that the essence of God is love. And I wanted to convey that in a way that would dispel or challenge, perhaps, the ideas that we as young fundamental Baptist boys growing up had this idea that God's acceptance is conditional and that we must be a certain thing in order to experience that love of God, and I wanted to kind of hopefully embody that in the lyrics. Yes, it was a live album called "Rough Around the Edges," and "Stained Glass Window" was the last track on there. How would you compare this album to your first one? Ah, this one was a lot harder to write, because I made a concerted effort to be really vulnerable, in writing about relationships that weren't very comfortable for me to write about, because there's been a lot of heartache here and there in the last three years. The songs on "Rough Around the Edges"
Yeah, they're not as personal. No, they're not as personal and they're certainly not as revealing. That was the biggest difference from that album to this one. Well, the song that caught my attention was "Queer Boy." a few minutes ago when I was talking about just occurring to me in thought but not in practice, my path would be to be an openly gay artist, "Queer Boy" was my way to play with it. I thought it would be kind of fun to write a song from a straight guy's perspective who basically was frustrated by not getting any from the women, you know, and the gay guys are always best friends with the girls. He comes to this gay guy and says, "Look, you know, you got to help me get an in here." I wanted to play with it and raise an eyebrow and do it in a comical way. How did you audience respond to that song? Howled! Anytime I ever played that song people would just laugh, and I think a lot of it was because you know there were people who knew about me in my personal life and they thought it was hysterical that I was taking the reversal take. They were saying, "who were you kidding, girlfriend"
And from Levi's first album, "Rough Around the Edges," here's a little bit of the song "Queer Boy"
The next song I want to hear about is from the new album, and is called "Hardly a Hero"
"Hardly a Hero" is actually kind of funny to talk about, because me and this girlfriend of mine, Darcy, sat down and watched "Spiderman II" and decided that we would try to write this sappy song about his whole dilemma between being a hero and falling in love, but it turned out actually being a viable song, and we kept it. And you still kept ownership of the album? Oh, those were different songs? .just less compatible with the Top 40 market. The Top 40 is all icing and no cake. It's like there's not much substance there in my opinion. So, during your time with Atlantic that's when your decision evolved to be out of the closet in your career. it didn't resonate with who I was and after a year of that I got so incredibly exhausted with trying to pretend to be something, and for what? I think it was absolutely a part of the divine plan for me to walk away from Atlantic Records and be able to start a career on a different basis, in a place of just honesty. Sure, if Elektra hadn't folded, if this or if that hadn't happened, who knows, I could have been straight into MTV and to have had to deal with that lie for much longer than I ever would have wanted to and God forbid that would have happened. I think it was absolutely part of the plan that everything happened the way that it did. So the songs that Atlantic has in a can somewhere are not as honest? they're not dis-genuine, if that's a word. They're genuine expressions of my art, but when you have a producer that begins to make word choices and everything that water down what you're trying to say, it just becomes that much harder to determine what perhaps I wanted to convey from the heart. It was kind of masked, you know. I started from a very genuine place but the end product when through several other hands before it ended up being the finished product. Did you get any discouragement about putting lyrically gay songs on your album? and the purpose of that is if you can make a relationship with your listener, speak of something they've experienced, and they can listen to a song and they can draw a memory that they've experienced and relive it with you, then you have created an emotional connection to that person, and being gay becomes an afterthought, because you've spoken to them where they live, and I never want to limit my audience by the lyrical choices I make, but I am not going to limit myself anymore and pretend that I have to be anyone that I'm not. 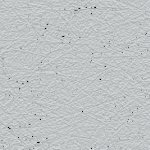 How biographical are your songs? I think very seldom do I every write from observation, from watching others. It's usually a direct experience of mine that creates the lyric that I'm writing. And that's always been the case ever since I started writing, since I was 12 years old. It was an outlet for me to express things that I was going through as a young child. Checking myself into Exodus International when I am in junior high school, and going through that inter turmoil for six years, through junior high school, high school, through my first year in college, it just turned out that songwriting was the outlet I had, the place of peace that I found, you know, and so I don't know that I am able to divorce that now. I think it's always going to be very biographical. I've read that of the ten songs on the new album, each is about a different guy. Or, if you've already written the song, next. Yeah, exactly. I only date for songs. Jump in, get emotionally involved until I have a good song and then move on. That's not true, JD, I don't do that, I swear. I have analyzed your album. I went through it and analyzed the songs, and here's what they are about, in order: Falling in love, being in love, lost love, lost love, lost love, wanting to be in love, falling in love, falling out of love, falling in love, looking back on love. I don't know what it says about me as a whole. I know where I am now, you know. I know that through falling in love and falling out of love, and lost love and all the experiences that kind of make up this project as a whole, it's left me in a place where now more than ever I'm so clear about what I want. And the clearer I get about what I want, the harder it is to find. I think that's true for every one of us. And, you know, relationships, experience by experience we kind of begin to hone in on the kind of experience we want for ourselves, and it is always trial and error. You know you can't figure it out until you get your feet wet, and I've definitely got my wet. Of what song that you've written are you most proud? so many of our experiences growing up were so similar. Just really connected, and he's straight, he has a girlfriend back in the UK, but the connection we had, the camaraderie between us, was so strong. And somehow on my end it began to eroticize itself and the closeness that we would feel kind of drew me into a pretty hard-core crush. And I began to kind of allow myself to stay in that headspace a little too long until I realized that, well, look, if I'm going to honor the brotherhood that we have created, I'm going to have to let that go because it just won't happen. So "I Should Go" is what came from me as I let that go. I got to hear about "Man Outta Me"
Yeah, um, after my first year of college I had dropped out of Exodus International, for the healing of the homosexual. I had been kicked out of college because a dorm roommate of mine had found out that I had been studying the issue of homosexuality from a personal aspect of wondering whether God even cared or not, and he thought that was appalling and went to the Board of Directors and told them. And I was very active in the Christian organizations in college, and also had a Christian album that was ready to come out at the time. And they dropped me, they kicked me out of school. And then an intern at my Christian record label also went to the same college and heard this and told the label dropped me. And so all of a sudden I had to just leave the Christian world with just everything stripped from me, at 19. And I'd fallen in love for the first time. And it turned out that the first guy that I had fallen in love with, and I moved in with, and we started to build a life together, turns out to be an abusive alcoholic. And you know, coming from a small graduating class of five people in Oliver Springs, and being completely sheltered in the Christian world, and Christian music, and living my life in the church, I didn't have the facilities to know what to do with that kind of situation, with domestic violence. I'd never even given a thought to domestic violence, let alone thought I would be a part of it, in a gay relationship. That's actually how my mom found out that I was gay, cause she began to put two and two together, and confronted me with it, and actually helped me leave, and helped me get out of the relationship. But it was a very empowering experience on the other hand, because if anything forced me to learn how to respect and love myself, it was coming out of something like that. And writing "Man Outta Me," I wanted to not spend too much time in the darkness of that experience but I wanted to focus on the empowering aspect of that. Cause I think that those things can be brought to a place of positivity if you use them that way. And for me it was such an empowering experience at the end of the day. Yes, and it was a very difficult decision to include that on the album, and even now, JD, I've only ever performed that song one time, and it happened to be the performance that was recorded, that's on the album. I haven't performed it again still. Not yet anyway, but I have a premier performance for my new album in Los Angeles, on January 16th, and that will be the second time I've ever sang that song for the public. Well, I'm glad that you included it. I hope so. I hope so, because it's out there and it happens. I hope that the song kind of does reach out to somebody, because it something that I don't think is being spoken to much about. You've also done some acting. Can you tell me a little about that? Yeah, you know, it was shortly after I moved here I was sitting in my new apartment in Los Angeles and saw this Back Stage West, a roommate of mine had it, I didn't even know what the magazine was about. I looked it up and though, oh these are auditions, these are auditions for musicals and film and TV and whatever. I saw this little write-up of this musical I had never heard of at the time, called "Rent" and I thought, well, I don't have a job yet, seemed like a fun way to spend the day. So I got the information, I headed down, I did this cattle call, didn't have a resume, like grabbed a picture, you know, not even a headshot, and went on the audition. And had no idea this would happen, but I wound up getting a call and after several callbacks later, I was called for the roll of Roger in "Rent." And that was my first introduction to acting. And after doing "Rent" I never really anticipated going and doing any more acting. I thought it was just a little fun experience I could dip into, and on with the music, you know. But I ran into a manager friend of mine who had gotten wind of an independent film that was going on in Los Angeles and she said, "Look, you did "Rent," you did a great job with that. You got some good reviews and such, and like, why don't you go out for this film?" I was like, "You gotta be crazy, film acting, I don't know anything about this." I ended up getting one of the leads [in "Don't Let Go"] and it won three film festivals and all of a sudden I've got an agent, and they're marching me into auditioning for the role of Matthew McConaughey's brother in the movie "Frailty." And that was my next film, and that was a great experience working with Bill Paxton and McConaughey. Since then my music has been clearly taking over and I've gone through the A&M deal, and the Atlantic deal, and now that I'm back in L.A. I'm so excited to get back with my agent and get back out and start out auditioning again, because I fell in love with it. I was totally bit by the bug, and I want to continue to pursue it. Yeah, I had close friends of mine that hated me for months over that. Some artists think this far ahead. Do you know what direction your next album might take? Ten more guys, line up. it's going to be full band. I'm going to come back to things like "Queer Boy" and "No Apologies" and where it's got kind of the funkiness, the funk feel of it, and pull that into a full band and really kind of and hopefully create a real in-your-face product with this next CD. I am real excited about it. Gee, I can't wait for that. I'm down to the last song, but before I get to it I want to thank you all for listening, and I want to especially thank Levi Kreis for the wonderful interview. And as I had expected, the interview was so good that I could not fit all of into the radio version this show, so my internet listeners can hear an extended version with a lot more comments and additional music. That of course can be found at www.queermusicheritage.com. And, as always if you have questions or comments about any of the music I've featured, please write me. This is JD Doyle for Queer Voices on KPFT in Houston. I'm going to end this segment with one of my favorite songs from Levi's new album. 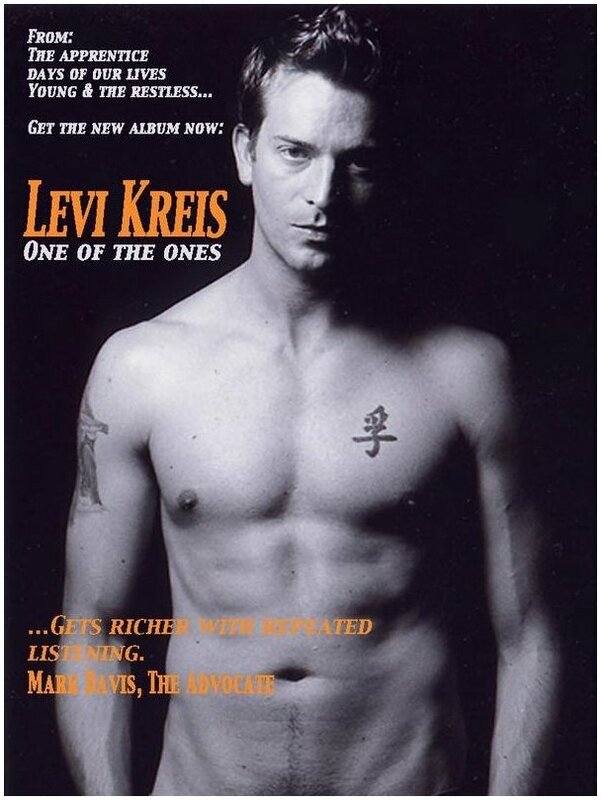 And again, you can find out more about Levi Kreis and his album "One of the Ones" at www dot levi kreis dot com, and Kreis is spelled k-r-e-I-s. My favorite song from the album is probably "Love In Another Light." And here are some final comments by Levi, talking about that song. of putting, of everywhere I've been in the past. It is what it is, now I know that I want something that is substantial, that is real, that is lasting, and that song's really close to my heart right now.